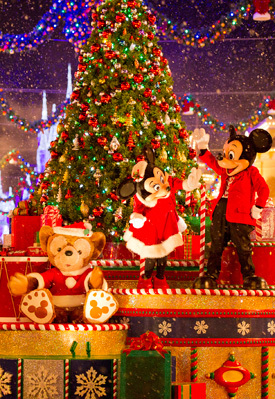 Mickey’s Very Merry Christmas Party at the Walt Disney World resort, is pure, time-honored Disney magic. Holiday revelers at the Magic Kingdom can catch the spirit of the season through enchanting entertainment that includes live shows, fireworks, carolers and special character meet and greets. Delight in the lights shimmering like ice on Cinderella Castle! And hum along with the holiday music that fills the air. It’s a time for wishes to come true!